Light filtering, love the color. Dimensions 36.0 In. X 60.0 In. This Roman shade worked out perfectly for my kitchen window. The sun comes in strong at a certain part of the day. Even though the sun is beautiful, it’s also blinding. With this shade, the light filters through and it also looks neat and elegant in my white kitchen. Love it! Tip: Always raise and lower using the small plastic piece at the bottom center or you will throw off the alignment of the material and string. Just a tip I read and made sure I told the whole family. My pictures will not upload. It’s giving me an error. 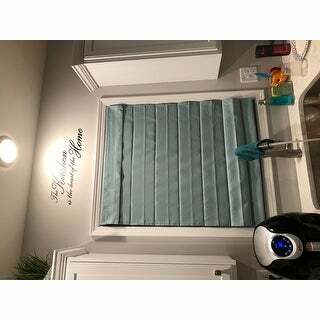 I purchased these Roman Shades to put up in my kitchen area. They are exactly as described. They filter light perfectly and are a beautiful color. Installation was very easy. 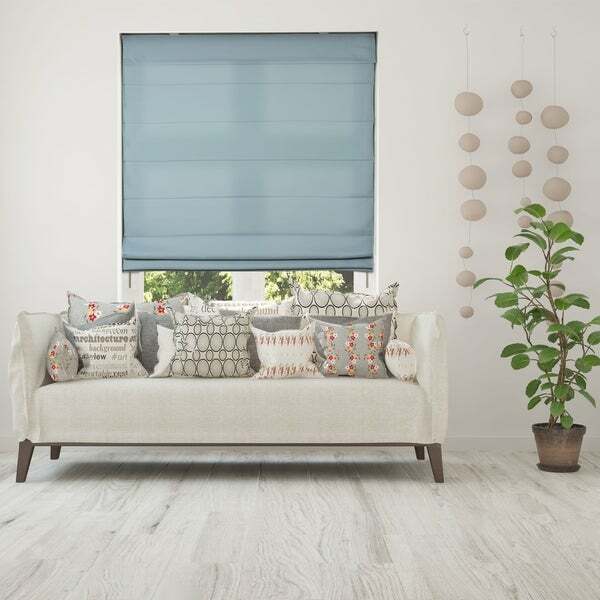 I would highly recommend these Roman shades. They are so super easy to install. Barely any work required and they fit perfectly into the windows. They are extremely easy to operate up and down also. They are stylish and modern and airy. They allow light to come thru during the daylight so don’t buy them for blackout needs. Great for my kitchen. 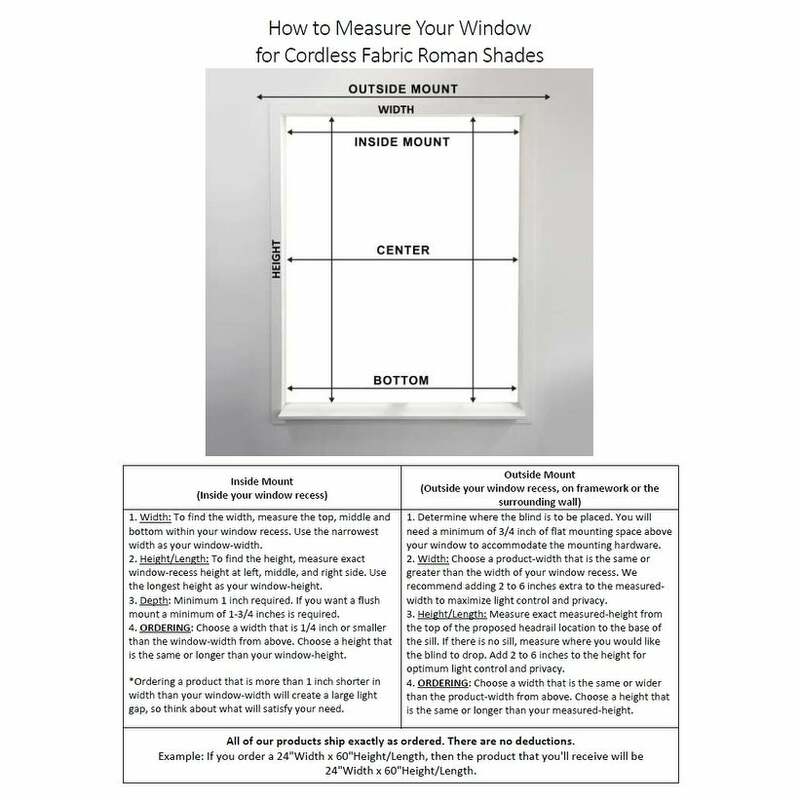 This is a middle quality roman shade. Fabric is very sheer and light weight. For the price paid it’s not too bad for a quick finished look. Arrived on time ,made well and color is very nice.well worth the money I recommend this product to anyone interested.Its going to look great in our bathroom and it’s not a big sticker shock like Pottery Barn . Excellent well built. Make sure of the application you want within the window or over the window. Nice color works well. Really pretty. Husband had no problem installing them. Arrived on time. "I was wondering on these blinds, what exact color are they? And is it a light or dark color?" These shades are a light blue/green. "most all my windows are 35w,72 l, is that a size I can order?" 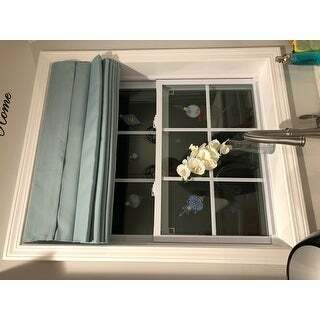 When mounting an inside mount you will want to order a size a minimum of 0.25 inches to 0.5 inches smaller then your window opening.